Chabad at Oberlin works tirelessly to be a beacon of light, comfort, and growth for all Jewish people at Oberlin College. The college environment is one where students are finding their own voices while simultaniously seeking guidance and mentorship. Chabad, the student leadership, and Rabbi and Rebbetzin Elkan, create programming that reflects a "lead by living" philosophy where students can engage in all components of their Jewish heritage and culture. There are difficult conversations that are happening in our country and on our campus, there are also difficult conversations that still need to take place, and we welcome all students, faculty, alumni, and community members to join in and continue the great work in community building. We believe that Oberlin is a place where a every Jewish student can find their home, and engage in Jewish life in a safe and holy atmosphere. 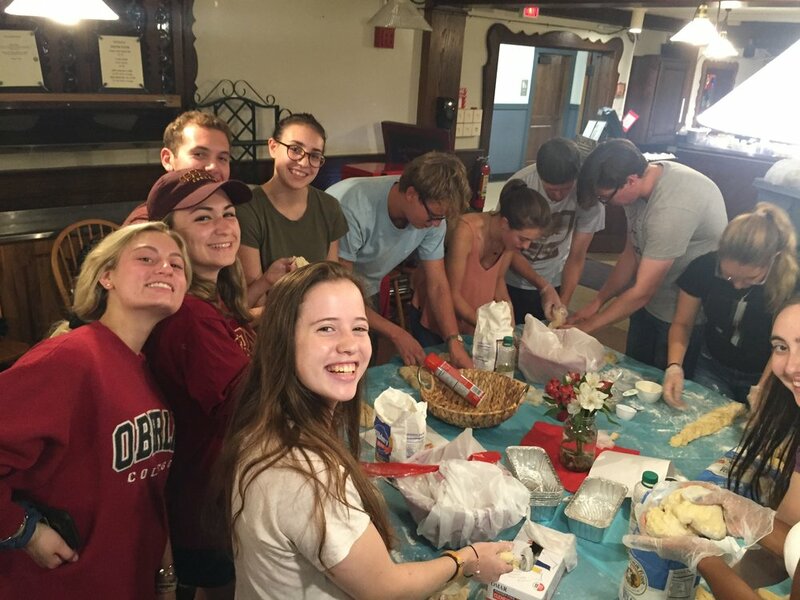 Furthermore, we are happy to speak with you directly and share our on the ground experiences of Jewish life in Oberlin, lessons we have learned, and goals we have for the future. Feel free to reach out to Rabbi Shlomo (selkan@oberlin.edu) or Devorah (delkan@oberlin.edu), you can also click here and see the vibrancy of our community on campus.